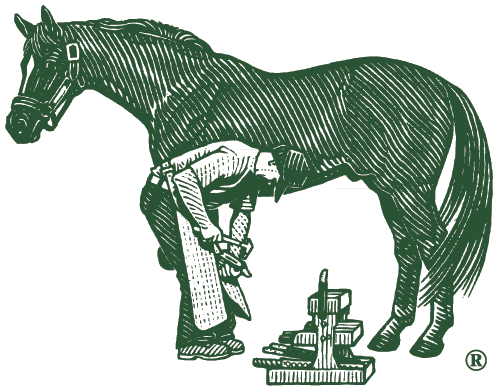 I started feeding Farrier’s Formula to Ward in October of 2018. At that time, his hooves were, to put it frankly, a hot mess. His hooves were incredibly soft and had vertical cracks. He was also blowing abscesses through his coronary band and the overall shape of his hooves was terrible. He was, and still is, barefoot and gets trimmed about every 8 weeks. Since we started using Farrier’s Formula, his hooves are rock hard. No more random abscesses or hoof cracks. My farrier has been able to trim his hooves into a much healthier shape. Now he only needs trims every 6-8 weeks and could go much longer if needed. Getting his hooves in better shape also allowed his body to get in better shape. He quickly put on weight, and I could tell he was better mentally too. Farrier’s Formula has also helped him maintain a healthy shiny coat, even through the winter. By the next trim 6 weeks later we could already see an improvement. Farriers Formula® has encouraged growth and I also think that it has helped his coat. Indi has always had a lovely shiny coat but I have recently noticed that his tail is getting thicker and shinier. I will keep supplementing his feed with Farriers Formula®. It has really helped with the growth and overall health of his hooves, so much so that I am hoping to keep him barefoot once this whole process is over. You will see from the photo that we still have a while to go. Indi is almost back in full work although only in the arena and on grass. It is still too soon to take him on the road and into the forest.